In 2011, American alt rock band Sonic Youth announced an indefinite hiatus following bandmates Thurston Moore and Kim Gordon filing for divorce, but its band members have been busy. Guitarist Lee Ranaldo has since found a new voice with his solo album, formed a band, showcased his work as a visual artist and taken his experimental art projects with longtime collaborator/ wife Leah Singer to galleries across the world; but all at his own pace. When we call at 10 am on a weekday in New York, Ranaldo has declared it a family day. “Just sit with the family and get stuff done here,” he says. Things are likely to change with his touring schedule kicking in next month, when Ranaldo will perform 33 shows across US, Europe and Canada with his new band, Lee Ranaldo And The Dust. Ahead of his India debut this month, Ranaldo’s done his research about Mumbai. He’s also glad to perform at a place [Ziro] that most tourists bypass. The only thing he isn’t sure is the popularity of his band: “We have no idea how much people know about this kind of western music,” says the guitarist over a Skype interview. “Initially I was trying to do some collaborative playing with some local musicians, where we get some tabla or sarod or some drone instruments and do an improvisational gig.” With his band, Lee Ranaldo And The Dust, comprising Steve Shelley on drums, Alan Licht on guitars, Tim Lüntzel on bass, locking in dates recently, the guitarist is hoping their set will be an electric blowout. “It surely won’t be an acoustic set. Anyway with Steve and me, we were going to try and make it a mostly electric set but now it’s definitely so,” he adds. We don’t know what’s to happen.We haven’t said it’s over, but nobody is talking about it in any way except in terms of the development of our archival project and things like that. We released Live At The Smart Bar Chicago 1985 two months ago and we have more stuff like that in development but no one is talking about anything new. At the same time, everyone’s busy with their own projects for now. Some of your recent shows were sit-down acoustic gigs. You aren’t seen sticking a screwdriver or drumstick onto your fretboard anymore. Well that’s not something that was a featured part of Sonic Youth sets either for quite a while, in the last 10 years or so. But it still happened on occasions for certain songs. It wasn’t really a showmanship issue as much as certain songs call for certain things. We had songs that needed a screwdriver or a drumstick near the strings in order to get a sound, so it was always in the interest of the sound, rather than a showy thing. Though it obviously looked cool and odd and was interesting to watch. There’s still some of that stuff that goes on in this band. On “Hammer Blows” from my last record, I play the guitar with a bow. It doesn’t seem like that to me. I mean obviously it’s a different group of players, there’s also a difference in hearing the recorded songs and watching them live. I think live, the sound of The Dust, as with Sonic Youth, is much more aggressive and much less toned down than on the record. Sonic Youth evolved over a long period of time into this group that could do pretty wild stuff on stage and this is a different situation in some regards. I’m not trying to emulate Sonic Youth with this band. With The Dust, you take charge as the frontman. How easy was that? The thing about Sonic Youth was that it was quite a democracy and all four of us were writing the songs together and dictating what was going to happen. So it was really a group effort and this one is slightly different on that level — in that I’m the sole writer and the one making all the decisions. There’s definitely a lot of inputs from all of us. Everyone’s contributing ideas into the music and its direction, so it feels more collaborative like a band. So on one end, I’m making a lot of decisions but I’m also allowing for the band to have a lot of say, which is kind of a nice balance. In Sonic Youth, there were always these one or another moments where not every single member of the band felt like what was going on was not absolutely correct, but those are democratic things so you lean towards the majority. Mostly we tried to lean towards all of us feeling the same way, but it didn’t happen in every single situation. So in this situation if I feel really strongly about something, I’m going to go with that. What’s the set list at the Ziro Festival of Music going to be like? Can we expect some Sonic Youth? It’s always possible that there are one or two more obscure Sonic Youth songs that I sang, that Sonic Youth never played very much. But we aren’t coming to do Sonic Youth material, we are playing the material from the two recent records that we have. If there’s one or two Sonic Youth songs thrown in, that would be a lot. It’s easy for me to play my songs [alone] since they were written on an acoustic guitar. One thing about Sonic Youth songs that made them unique was that a lot of them would be slightly hard to sit down and be played by one member of the band because they relied on interlocking parts to make the songs what they were. You’ve been equally prolific as a visual artist and poet. Your wife’s [Leah Singer, photographer] been a long-time collaborator. Do you have any new projects on that end? The band just toured in South America and then Leah and I did some performance shows there. So that continues. I’ve been making a lot of visual art over the last year or two. Also by the end of this year there will be a book out from a press in England that is collecting all of my writings and poetry from the last 20-25 years or so, from the mid Nineties, so there’s that. Last month, you announced an album with Lee Ranaldo And The Dust. How different is The Dust from your solo project since the lineup is roughly the same? Aside from the fact that we changed the bass player [from Irwin Menken to Tim Lüntzel] since the first record [solo album, 2012’s Between the Times and the Tides], it’s pretty much the same band. We have all been talking about a band name. It wasn’t till a couple of months ago that the name The Dust came up and everyone seemed to like it and it stuck. So Last Night on Earth is, in a way, a follow-up to your 2012 solo? Oh yeah, definitely. Especially in terms of the songwriting and my recent pursuit of these kind of songs. But this record is definitely more of a band record. We spent a lot more time in rehearsals last winter, working out the songs. The last record I kind of wrote the songs and recorded them, and different people came in and played on top of the songs as they stood. This one is developed as a band, so it’s fitting that it has a band name to it. It was my one hesitation while choosing this as the title. I mean there definitely are some apocalyptic aspects to it but it’s not a concept album. Last Night On Earth is named after a song on the album. The song is a bit apocalyptic and there’s definitely a bunch of dark stuff going on in the lyrics. The thing is, some of the songs were inspired by and written in the aftermath of Hurricane Sandy, which hit New York last October. We were without power and lights, water and heater for about a week here, so I pretty much had just the acoustic guitar. Some of the songs had their beginning in that period, just because there was nothing else to do. Cellphone services were gone, there was no internet or power to charge phones or computers, so pretty much everything was dead except an acoustic guitar. So I played a lot in that week and “Last Night On Earth” and another track “Blackt Out” had their start in that period. Your last album had many collaborators such as Wilco guitarist Nels Cline to jazz keyboard vet John Medeski and even Jim O’Rourke. Is this one heavy on guest artists as well? This record has less [collaborators] because I think the songs were worked on over such a long period of time — three-five months in the studio – so the songs were really solid just with the four of us. John [Medeski] did come back for the record and he plays keys on pretty much every song. There’s also harpsichord on one song, so that’s a different element. Like your last release, the songs here on this album too lean more towards an acoustic rock sound. How are the two different then? The main thing that’s different on this record is that there’s a lot more open ended playing. There’s a lot more of, I hate to use the word, jamming on this record. The last record I felt was highly structured and this one is too, but there are a lot more open sections where we are just exploring things musically and stretching out a little more. Since the band’s been playing together for more than a year now, we’ve really come to a place where we play together well. “Blackt Out” is kind of like the most extreme. It has the least amount of singing and the most amount of playing than any other song. 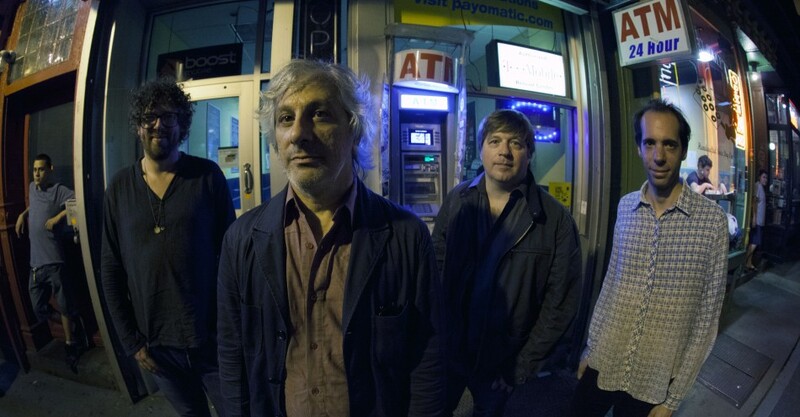 Lee Ranaldo & The Dust perform at Ziro Festival on September 22nd. The band also performs at Blue Frog, Mumbai and Blue Frog, Delhi on September 25th and 26th respectively. 102613 | Filed under INTERVIEWS.